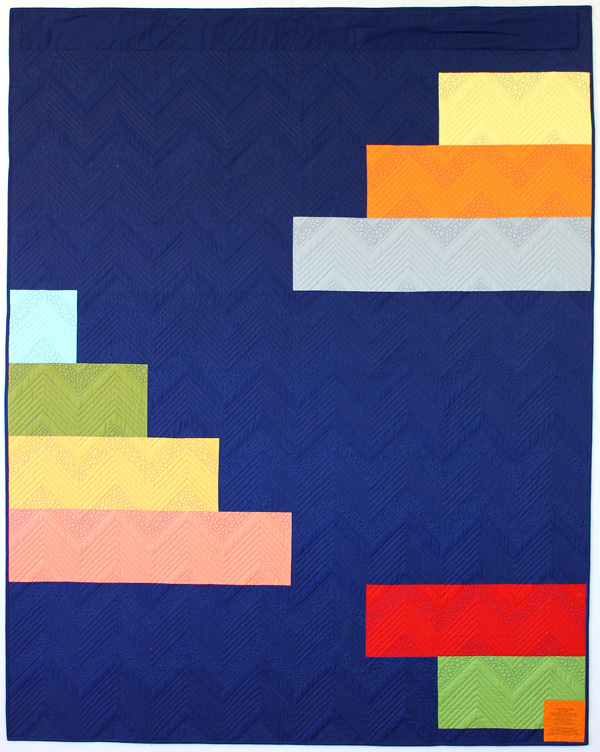 Colorful Chevrons was my first officially published quilt. It was on the cover of Quilty magazine in the November, 2013 issue. 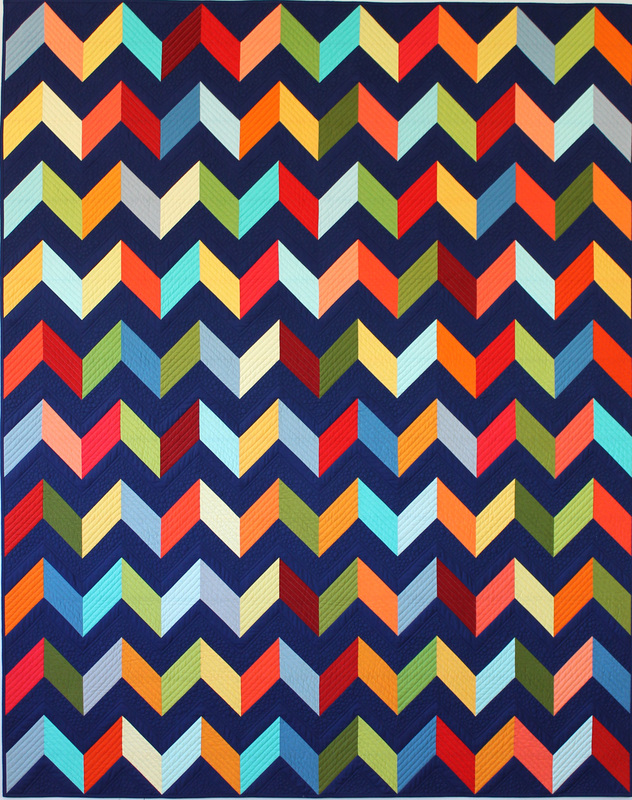 The blue background provides a soothing counterbalance to the intensity of the colorful chevrons. Click here to purchase a printed pattern, available in 4 sizes. Click here to purchase a PDF pattern, available in 4 sizes. Click here for the Strips of Color pieced backing tutorial.